After several delays, my album is very close to being released! A few things have been reworked, including the new album title, Shadow of Agretor. It is a concept album, but it also includes a few additional cover songs. Shadow of Agretor will definitely be worth the wait! Check back soon for the release! “Rise of the Phoenix” Single Released! 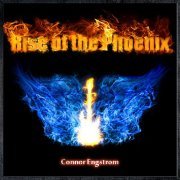 I’m excited to announce that the track “Rise of the Phoenix” is now available for purchase as a single! You can buy it here: http://connorengstrom.bandcamp.com/ And remember, my full album is on the way, too! Be sure to check back for updates! I’m excited to announce that my current album project is nearing completion! Rise of the Phoenix will be released soon. Check back here for updates or follow my Facebook page to be notified as soon as it’s available!